What comes to mind when you consider the word “exclosure”? Exposure? Enclosure? Exclusion? Language ripples out and collapses in, as if pressed and pulled at once. 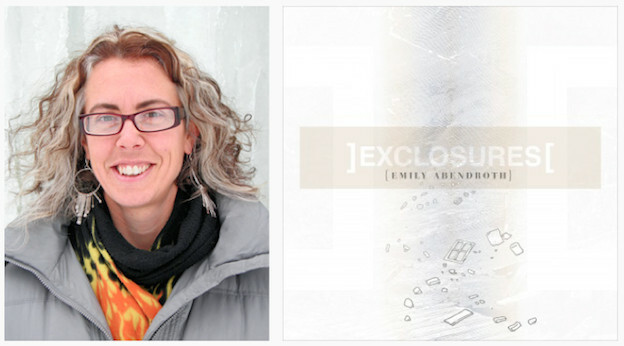 The title of Emily Abendroth’s new book of poems, published by Ahsahta Press, is ]Exclosures[, the curious word surrounded by reverse brackets, suggesting a bracketing and unbracketing that furthers this attention to the hinging/unhinging quality of Abendroth’s sometimes exquisitely wrought vocabulary. The title suggests a tight yet artfully unraveling language that is familiar yet strange. This linguistic tension is well suited to the poetry’s subject: the examination and excoriation of the culture of violence, war, and, in particular, incarceration in the United States — what Abendroth identifies as “state regimes of punishment and control” (61). The very world we know intimately is held at a distance; what is familiar yet ought to be shocking and strange. ]Exclosures[ is a collection that in some places relentlessly presses in on itself — on language, in particular, its own and the language of our shared social and cultural utterances — and in this pressure the book concentrates on some rather pressing matters: “roaring war” and “human poverty” and the disturbing “institutional rationalization for the wholesale destruction of personhood.” In the language of this latter example you might hear sincere urgency, yet an urgency that can risk sliding into intellectual patronization. In Abendroth’s own words, “You nonetheless too often found yourself locked in sequence” (40) — locked in the bureaucratic language, imprisoned. However, the risk of superciliousness is often averted by the rigor of Abendroth’s mind, best displayed by the Exclosures that are most artistic, most lyric. It is in her attention to language that Abendroth’s writing is most interesting, where the urgency of her firmly established ethical concerns is most forcefully conveyed. The writer’s control of our attention to the pressure that language itself asserts on our thinking and means of knowing — whether through research or ambient cultural ecology — is masterful at times. Manipulating the page to serve lyric expression, bracketing language as if stuttering in the mechanical echoes between dailyness and destruction, where “Sunday dinner” might stand in for “citywide curfew” (7) the poems assert an assessment of insidiousness both subtle and overt. “War” might be the grammatical equivalent of “midterm election” or even “titleship competition” in “Exclosure ]12[,” and the poem lets the meaning of this equivalence hover ominously (25). No terms have been provided by which to understand it in its own right. And is “its own” right? And is “its own” its own? Abendroth’s poetry is most compelling when it is at its most lyrical, relatively absent the ten-dollar words. Those are more suited to the book’s final prose piece “A Closing Note in Favor Of The Improbable.” Here she explains her political position and her poetics in this book, arguing, “one goal of our contemporary poetics must, of necessity, be to sound out the catastrophic and debilitating reverberations of living in a society that has effectively criminalized our most basic characteristics of livelihood and requirements for existence (our youth, our old age, our poverty, our needs for housing or a doctor’s appointment, our hunger) and instead fed them back to us as dangerous behavior and/or unsustainable, unassuageable demands” (62). 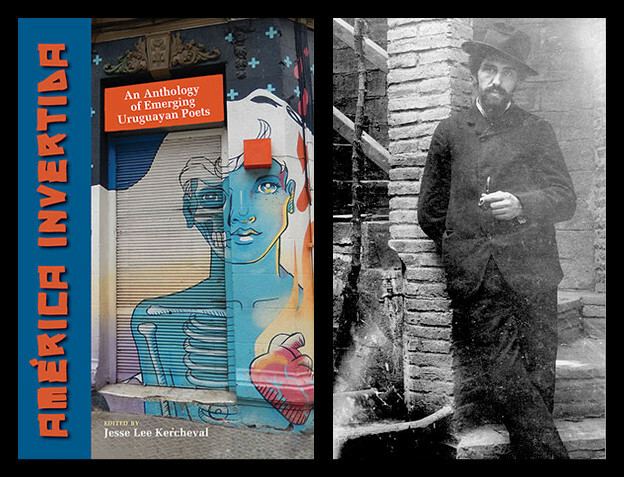 The weightiness of her earnest concerns, however, penetrates more deeply when the poetics gives space for the reader to dwell in language and the silences around it, to absorb the nuance Abendroth draws into our attention. 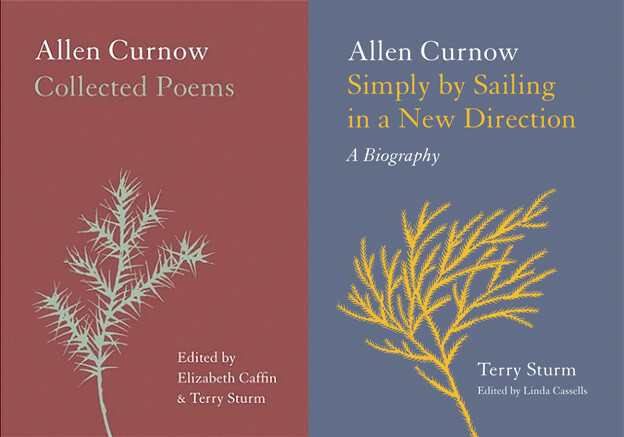 By exposing the troubling ways in which serious messes overlap in language, in life, through the poetic language, the poems put greater pressure on the ideas. Poetry is distinct, then, from political rhetoric, in a productive way, that might serve the politics. Tightly bunched language, its unsubtle musicality reels in “humans” and “forces” and “privileges,” yet allows room for the lyric to ebb around the bureaucratic language. This lyricism is necessary for the reader to swoon in the nausea of its grim implications. The poetry’s critique of the corrupt, cruel, and indefensible system of law enforcement and incarceration is important, decidedly thoughtful, and smart. When it pulls away from the very language it bewails, this poetry might expose a significant field with capaciousness and generosity. This is its privilege. ]Exclosures[ cannot tell us what exclosure might be, and yet we understand that it is necessary that we come closer to knowing, that we come to believe that something might be unbracketed.